Alex Epakis was only 26 when he made history, becoming the youngest A License accredited coach in the country. The FFA/AFC A Licence allows him to take charge of an NPL, W-League, National Youth League team as well as be an A-League assistant coach. It’s only one level down below the professional license which allows you to be an A-League head coach. 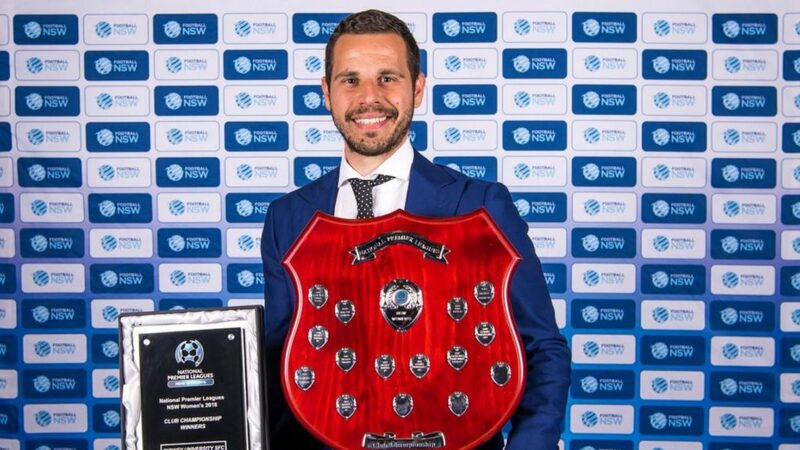 Now at 27, the Greek Australian is a coach educator and assessor at Football Federation Australia and Football NSW, but also the senior coach of Sydney University’s Men’s and Women’s NPL teams. Speaking to Neos Kosmos, Epakis says that he never saw his young age and lack of playing experience as barriers to being a coach. “Whilst I don’t offer a professional playing background, I’m quite methodical in my work as a coach,” he says. When he was in his early 20’s, Epakis decided the path to top level football would be through coaching rather than playing. His first coaching role came when he was offered a chance to assist set up Sydney FC’s youth academy and he says that experience was a revelation. Epakis soon got his wish, when he took on the role of Head of Performance and assistant coach at W-League league club Canberra United, where he relished the chance to mentor top line players. Soon enough Epakis was on the move again and earlier this year left Canberra United to take up his first senior coaching role with Sydney University Soccer Football Club’s (SUSFC) male and female teams. 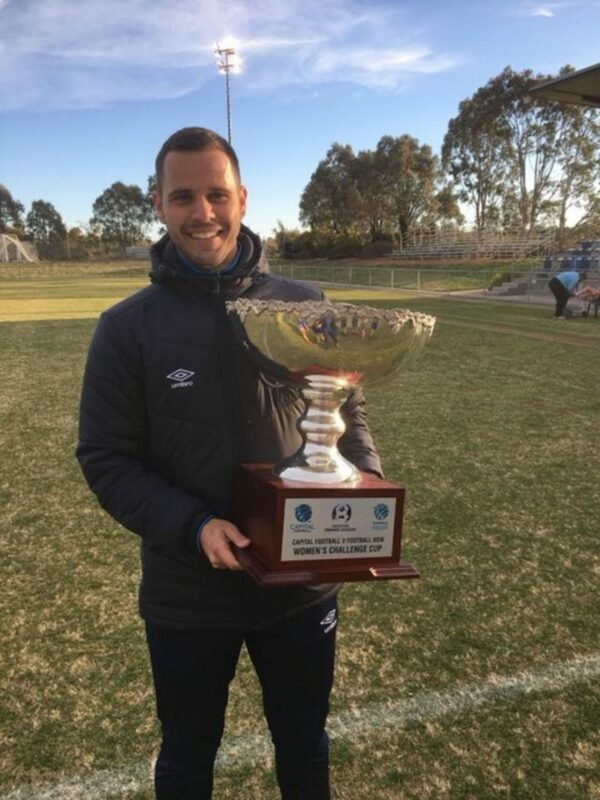 At first the men’s team were in danger of being relegated, but his coaching acumen came to the fore as he guided them to fourth place in the NSW NPL 3 Club Championship. 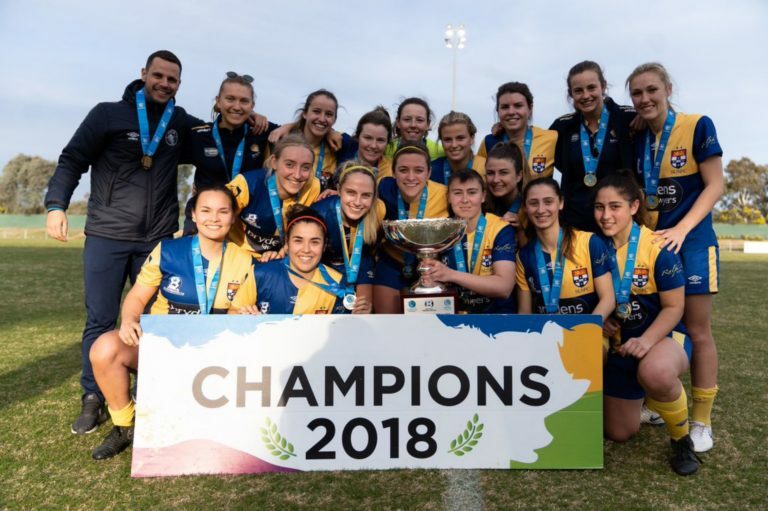 But it was with SUSFC’s women’s team that Epakis had his greatest success and proved that he was a coach on the rise after he led the club to the NSW NPL First Grade Premiership. Epakis says his time at Sydney University proved to him he could cut it in senior football and he admits he has ambition to coach in the A-League one day. Epakis is so highly considered that he also coaches the coaches. His role at the FFA and Football NSW incorporates the delivery of the C and B Licence and he revealed that mentoring coaches involves a completely different tool set to coaching players. Whist it’s only been a short space of time, Epakis feels he has made some great insights into sports education and how the next generation of players and coaches are being prepared. “I believe that sport and coaching education are improving in both theory and practice,” he says. Looking ahead the 27-year-old hopes to emulate the career of fellow Greek Australian and former Australian national team coach Ange Postecoglou. “His Asian Cup success inspired me,” he says. “He really wanted to not only change the game, but the Australian identity and the way in which we played football. He was also a Greek Australian who played in the NSL but he wasn’t a superstar. It was enough for me to realise that you can change the way things are done and have an influence without having that professional background. Epakis revealed that learning about Postecoglou’s experiences growing up in Melbourne resonated deeply with his Greek Australian roots. “Although that time was very different to which I grew up, there were still some core things that were the same,” he says.